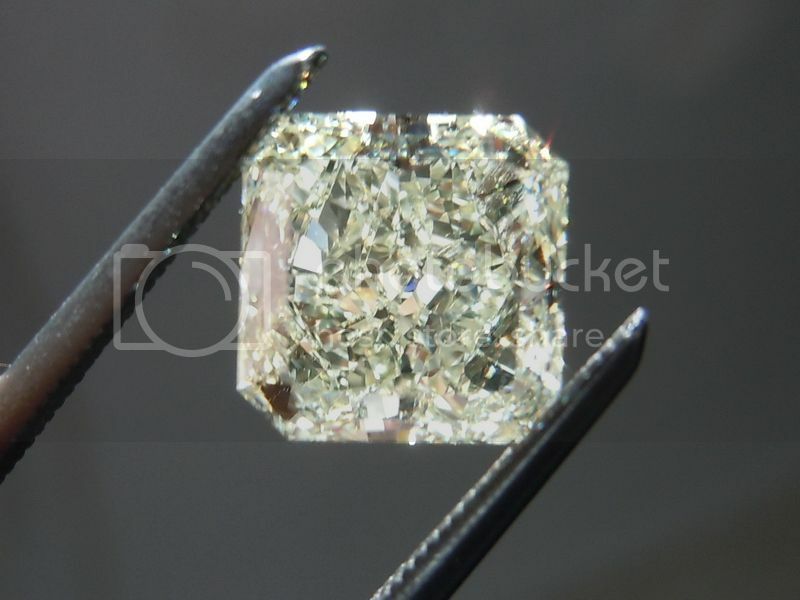 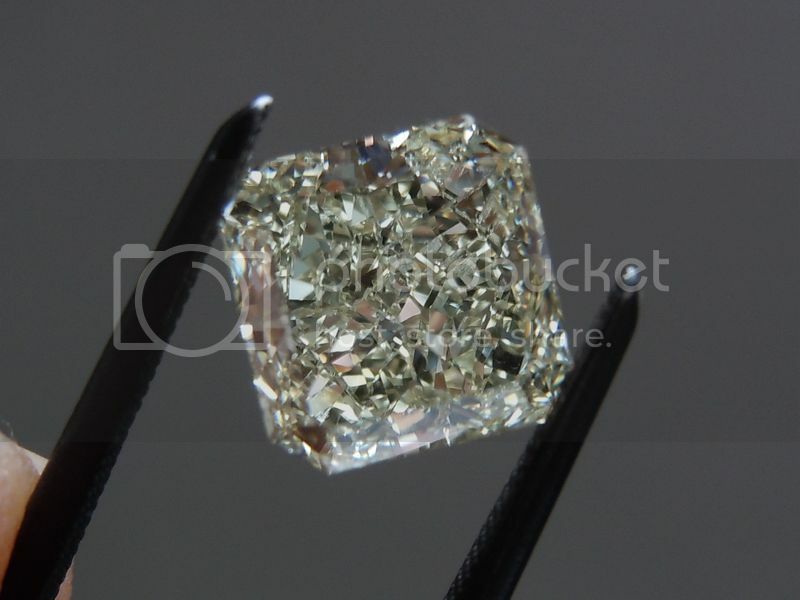 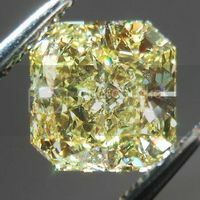 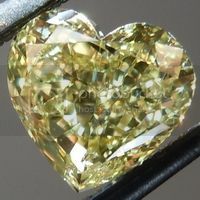 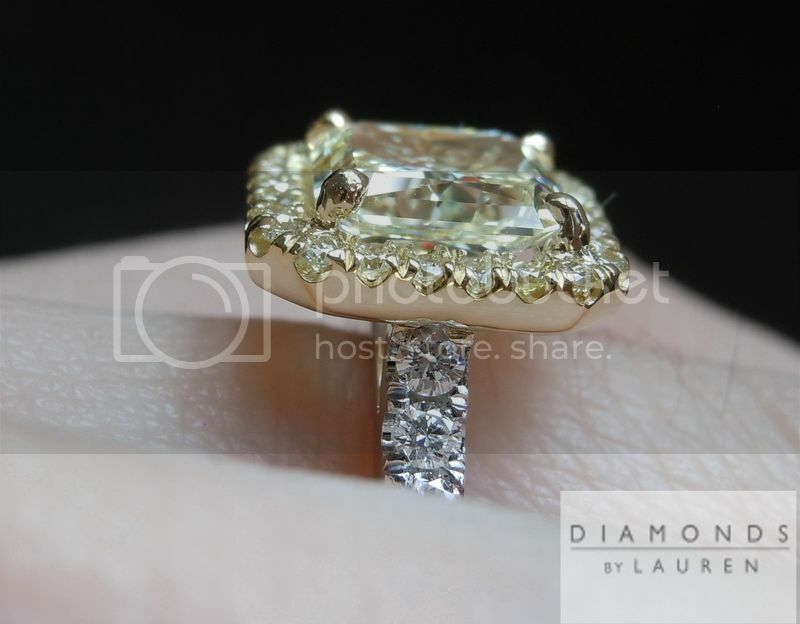 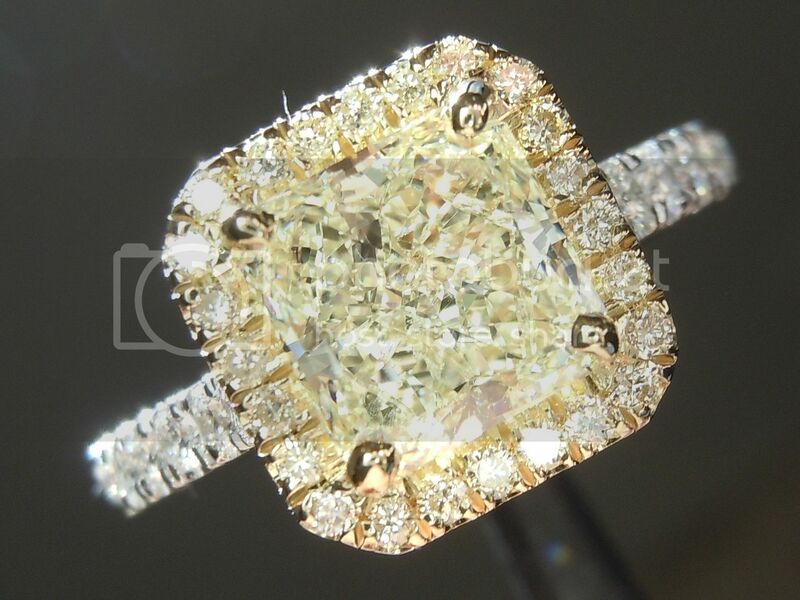 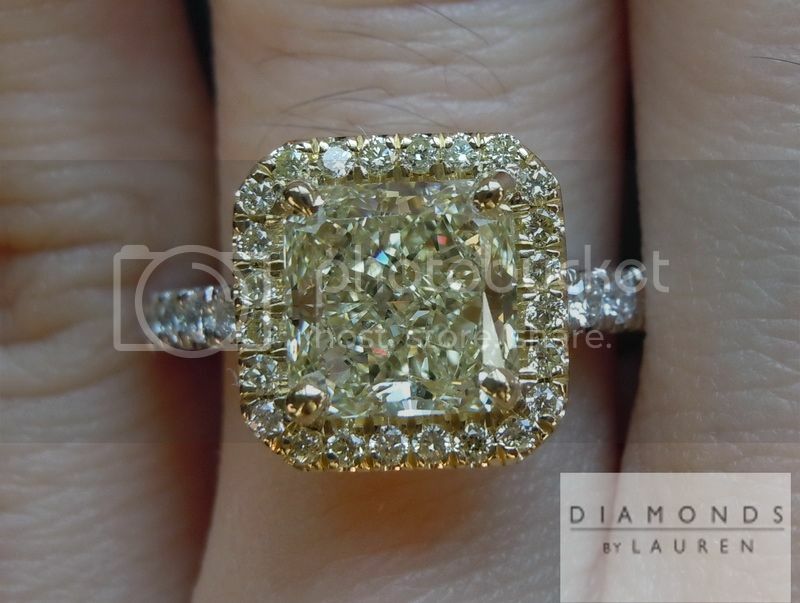 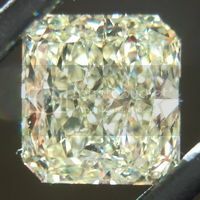 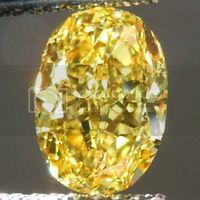 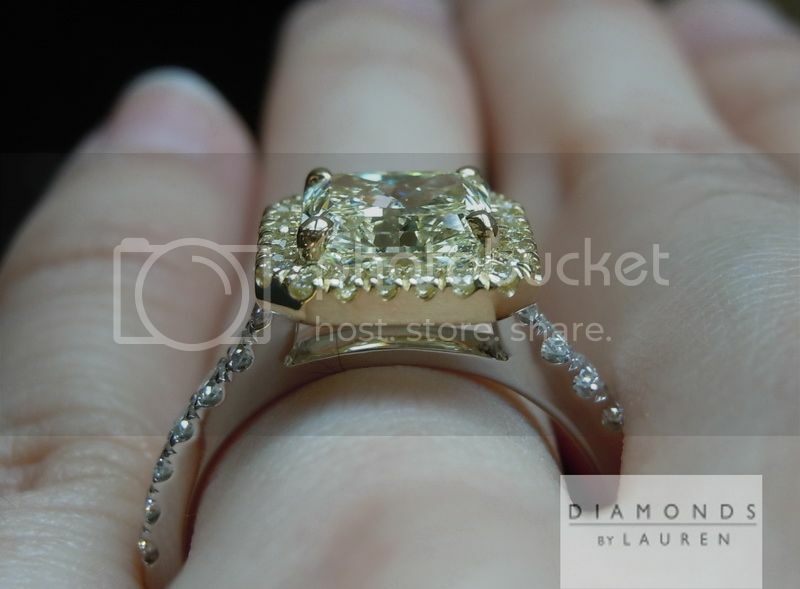 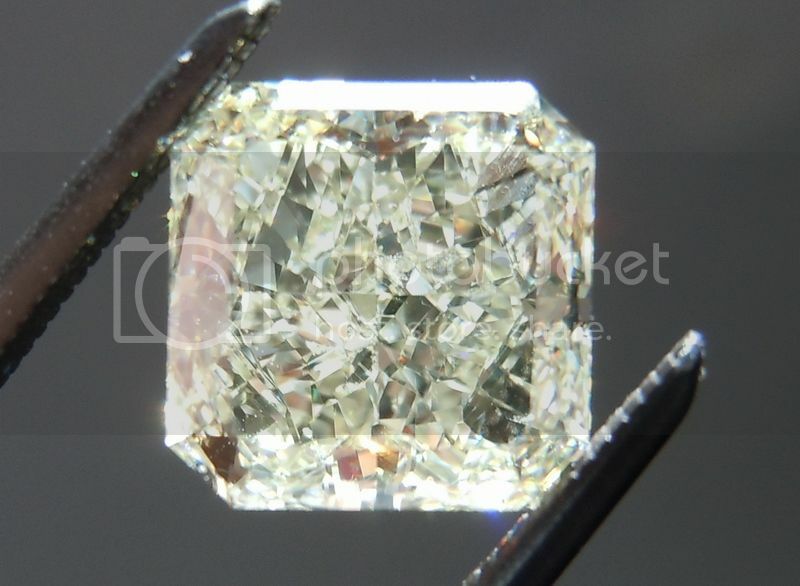 This is a gorgeous radiant cut diamond. 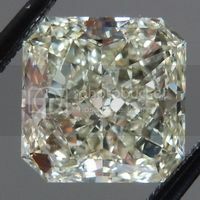 This stone is a near perfect square with nicely cut corners. 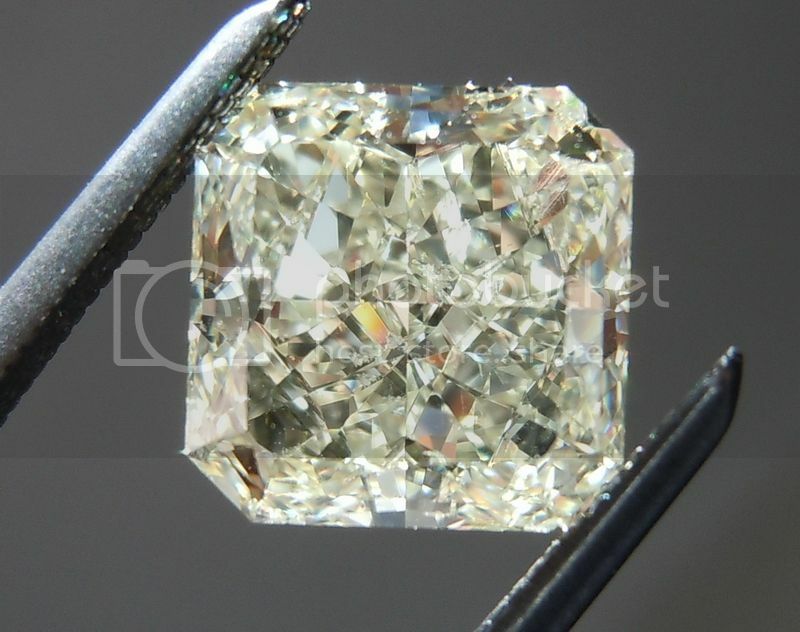 The cut is wonderful - edge to edge sparkle. I really love the color on this stone. 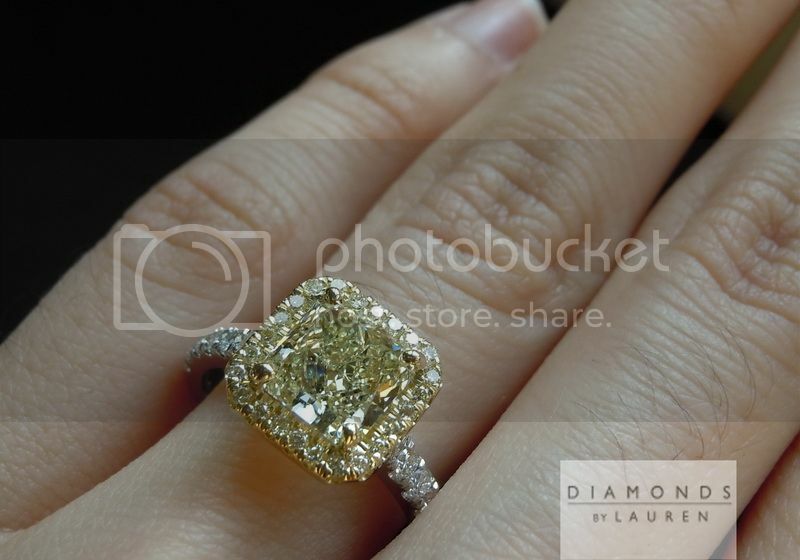 It's a beautiful softer shade of yellow, much like a strong lemonade. 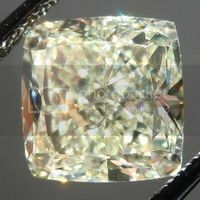 We have conservatively graded this stone to be SI1. 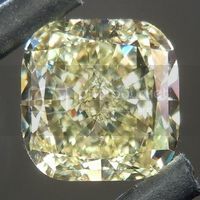 Our super sell cut U-V looks quite yellow in this setting. 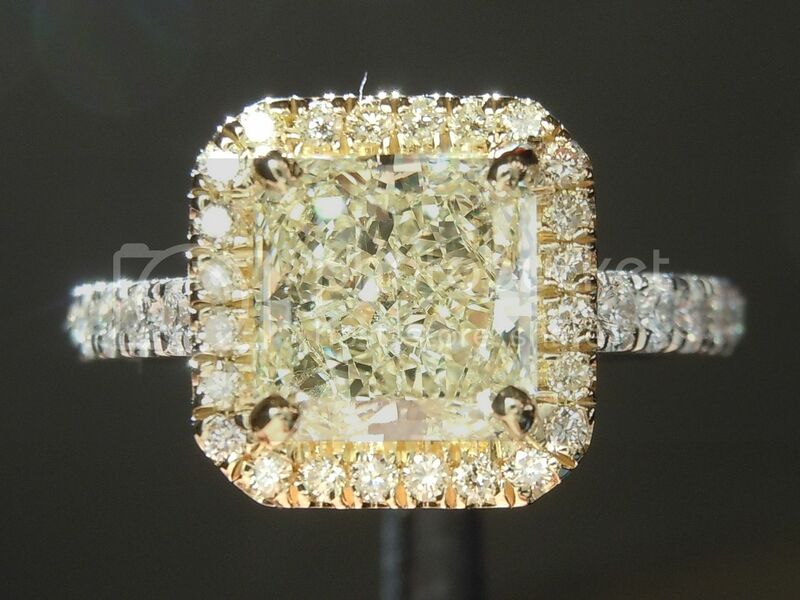 The stone is like a fireball of sparkle in this setting. 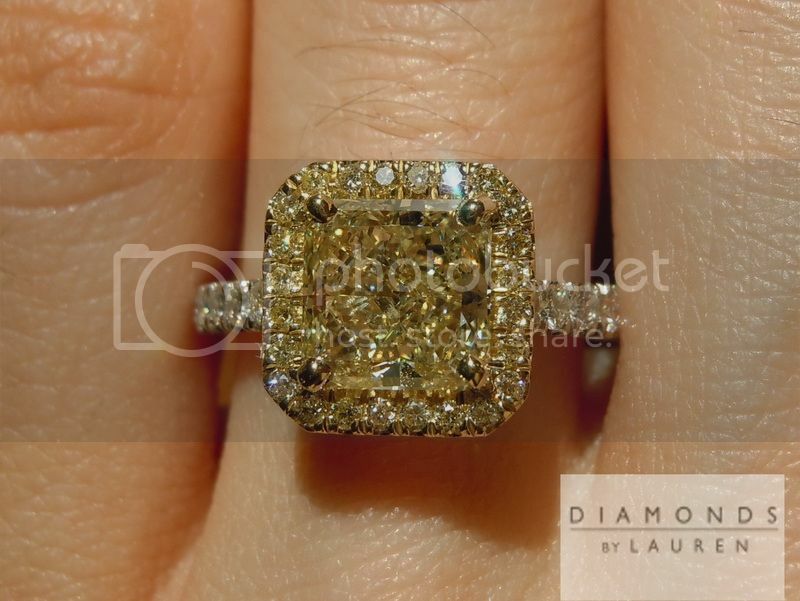 Plus, it really looks more like a 2 carat now. 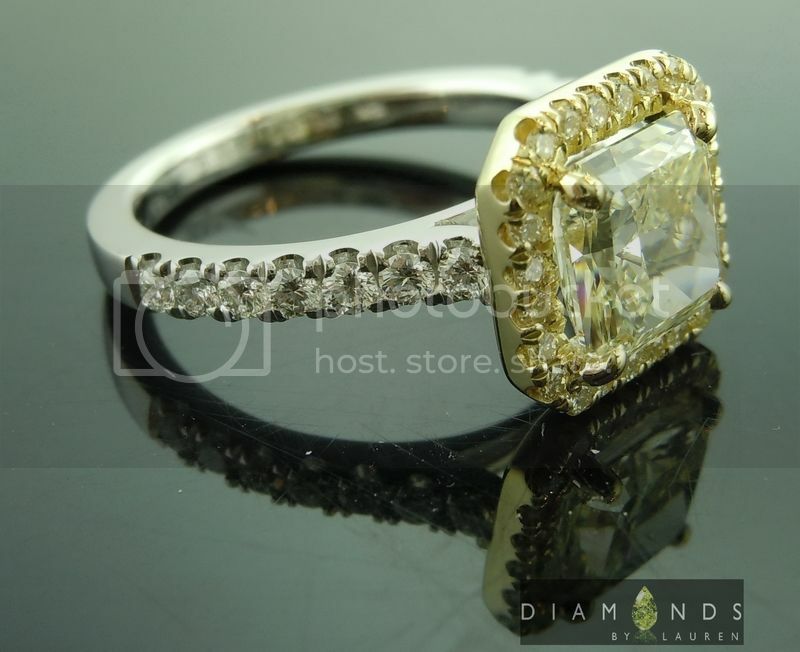 The contrast between the white and yellow is dramatic - proving a lot of visual tastiness. 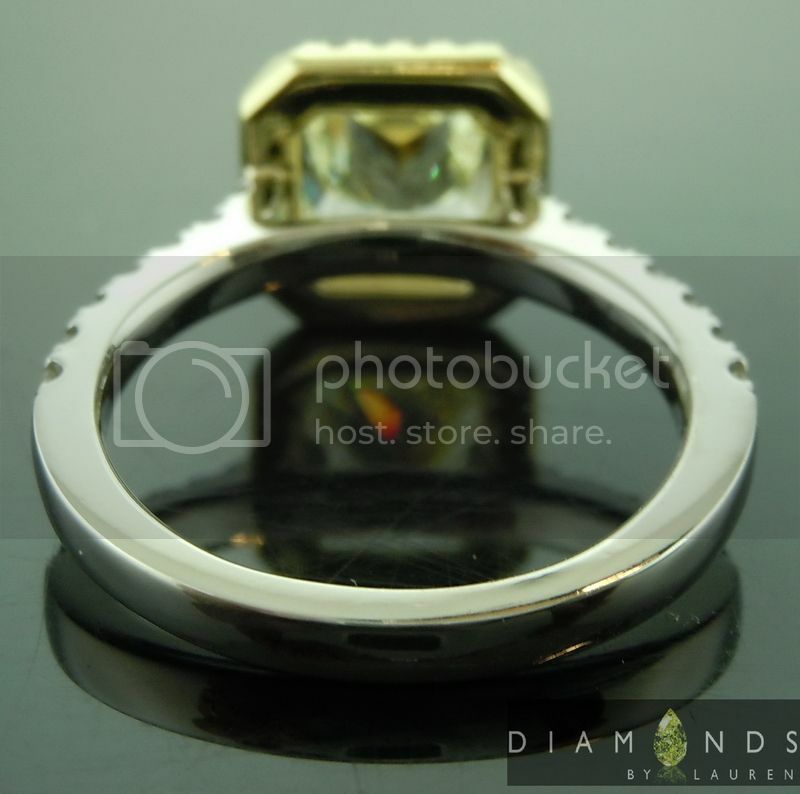 A great, sturdy design, which can be worn next to pretty much any wedding band.